Statement: The website is owned, managed and maintained by Nuctech Company Limited (NUCTECH). Prior to using the website, please read carefully the following clauses. Use of the website means you have agreed with the clauses below. If you disagree with it, please do not use or access the website. You can use the content in this website only for noncommercial purpose. You are obliged to respect any statements regarding copyrights and other rights contained therein and use them legally. In case of no statement contained therein, it does not mean the website has no rights on it nor claims. In the principle of honest and good faith, you have to respect the legal rights and use it legally. You cannot, in any manners, modify, reproduce, demonstrate in public, publish or distribute these materials, or use them for any public or commercial purpose in any other manners. You are not allowed to use these materials in any other websites or any print media or network computer environment for any purposes. All rights for the contents and pictures etc. on the website are reserved by NUCTECH, and any unauthorized use or copy of the above-mentioned contents may constitute an infringement. 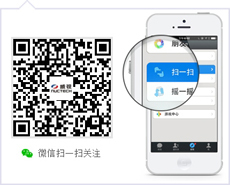 If copy needed, you must contact NUCTECH directly and get the authorization. If you do not accept or violate the above statement, your authority to use the website will terminate automatically. Meanwhile, you are obliged to destroy contents downloaded or printed from the website immediately. The information on the website is provided by NUCTECH on current basis. NUCTECH may change the content from time to time without notice to you. 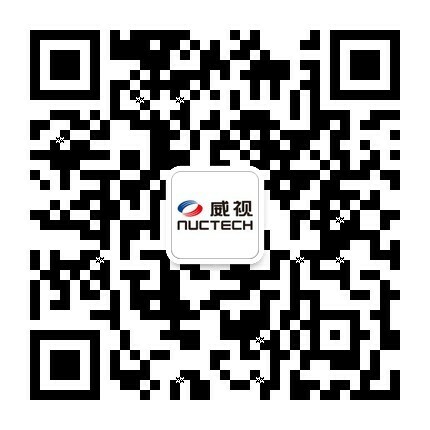 NUCTECH may also, without notice to you, improve or modify the products or service introduced on the website at anytime. NUCTECH does not guarantee the contents on the website, whether explicitly or implicitly, including but not limited to guarantee over commerciality, suitability for specific purpose/use or non-infringement. In addition, NUCTECH does not guarantee that the information on the website will not be interrupted or has no error. Any materials or information (information) you sent or mailed are deemed as non-confidential and non-proprietary information, on which NUCTECH has no obligation. Once you sent information to the website, it means you agree or authorize that NUCTECH and its authorized person can use such information by reproducing, disclosure, distribution, combination or in any other manners freely for commercial or noncommercial purpose, and you also agree that NUCTECH can use freely any ideas, concept or know how you provided for any purpose. In the process of your use of the website, you shall not break any laws, regulations and public morality, and shall not send any information that are illegal, threatening, libelous, malign, pornographic, endangering state security or public security, or violating the laws to or through the website. If any stakeholder shows evidenced warning or disagreement over the contents and influence of the information, the website may delete such information at any time or terminate your browsing of such information with no limit, without your prior consent and further notice to you, and the website may take actions such as canceling registration of the user in case of serious consequence. When necessary, the website will provide link or guiding service to other websites operated by a third party, with the content including but not limited to any materials, files, information, correspondence, pictures, diagrams and charts, labels, designs, sound recording, video and voices contained in or obtained from the website, as well as any other information provided on the website. Linking to third-party’s websites is for your convenience only. NUCTECH reserves the right to terminate the links at any time. Since all linked websites and the content and description thereon or the provided services and products are out of NUCTECH’s control, NUCTECH will not be responsible for such websites as well as the contents, products or services (including further links to third party’s websites) thereon. Once you decide to log on or use any linked website, you shall pay attention to limitations of the website’s clauses and conditions applicable, and meanwhile you shall take precautions on your own to avoid virus or other destructive factors whiling using such websites. Any loss or damage due to your log-in or use of linked websites shall be at your own cost. NUCTECH makes no guarantee or representations on linked websites and the contents, description displayed thereon, or any products or services provided, and will also make no approval, recommendations, consent or introduction of the linked websites. Unless otherwise specified or agreed, NUCTECH will not be the party of any agreement reached between you and any provider of linked websites. NUCETECH will not be responsible for any loss or damage (whether direct, indirect, special or accidental) due to any interruption, delay, loopholes or negligence of the contents, products and service on the linked website. Linking to third party’s websites does not represent NUCTECH or the website has any relation with it, or has obtained legal authorization to use any trademarks, logos or copyright displayed on the linked website or through the link. Any third-party website’s link to the website does not mean necessarily NUCTECH has made any consent, authorization, sponsor, or indicated it is one of the company’s related enterprise, joint venture, co-operative enterprise or business partners. In most cases, NUCTECH is not aware that the third party’s website has provided links to the website. NUCTECH may revise the clauses from time to time. You shall visit the page frequently to understand the current clause as they have close impact on you. Since some articles of the clauses may be superseded by law announcement or clauses specified on some pages on the website, you are obliged to know these. Once you accepted the clauses, it means you have read carefully and accepted the superseded or referenced clauses. 6. The statement and the website shall be interpreted by NUCTECH.